The growing-up years were mostly a wonderful experience. One of the best was spending several weeks every summer with Aunt Margie and Uncle Carroll at their cabin in the mountains of the Angeles National Forest. She prepared the most wondrous foods in her little kitchen overlooking Big Tujunga Creek. One of those dishes was chicken and gleasants. What is, you may well ask, a gleasants? That is a question I have pondered many a night for years and years. Is it a dumpling? Or, is it a noodle? Where did it come from? Is it German, perhaps French or maybe even Scandinavian? I can’t find a single cookbook in the library that contains a gleasants recipe and yet there are many on the internet with old family recipes and all very much alike. Each of them also express confusion over the origins of the dish. One day I hope to find the answer. 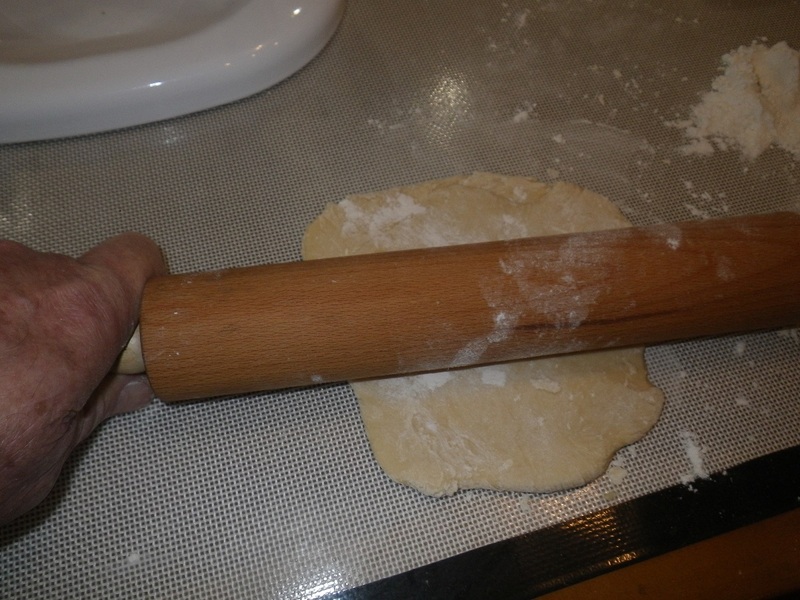 Aunt Margie would roll out the dough by hand using a rolling pin. After getting just the right thickness she would cut them into squares including the raggedy ones around the edges. She would let them air dry while she prepared the chicken. 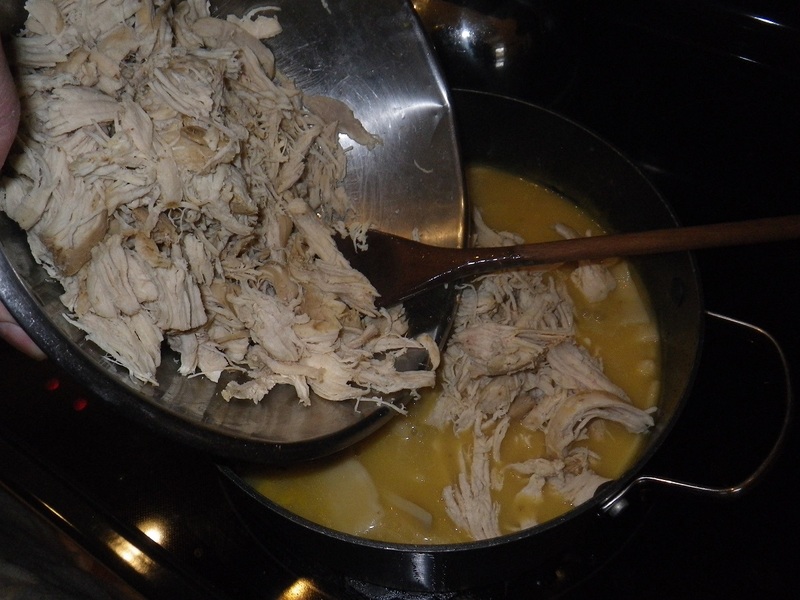 That was usually a whole chicken and when cooked and then cooled she would pull and shred the meat. The chicken cooking water was used to cook the gleasants. After the gleasants were cooked to a chewy goodness the chicken was added back to the pot and it was ready to serve. 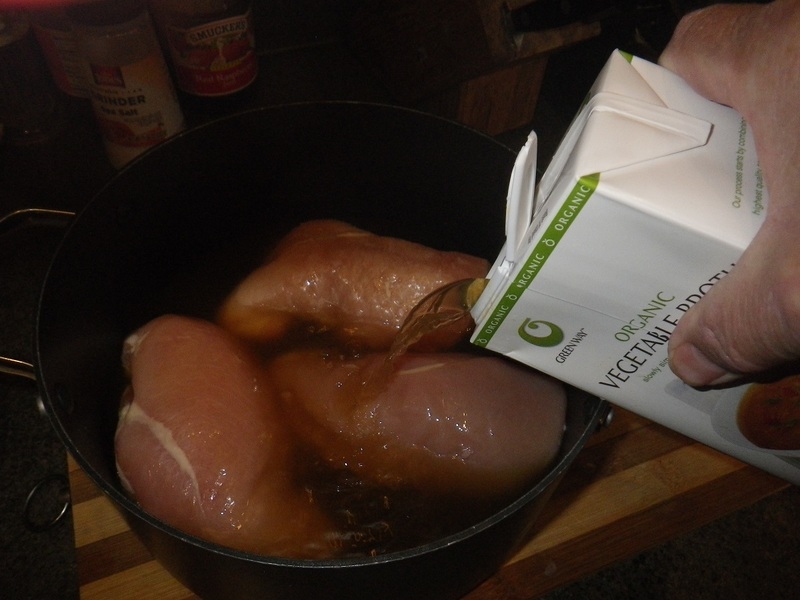 Place the chicken or chicken parts (I usually use 3 large chicken breasts) in a large pot. Add broth or water to cover. Bring to a boil then reduce heat to a slow simmer. 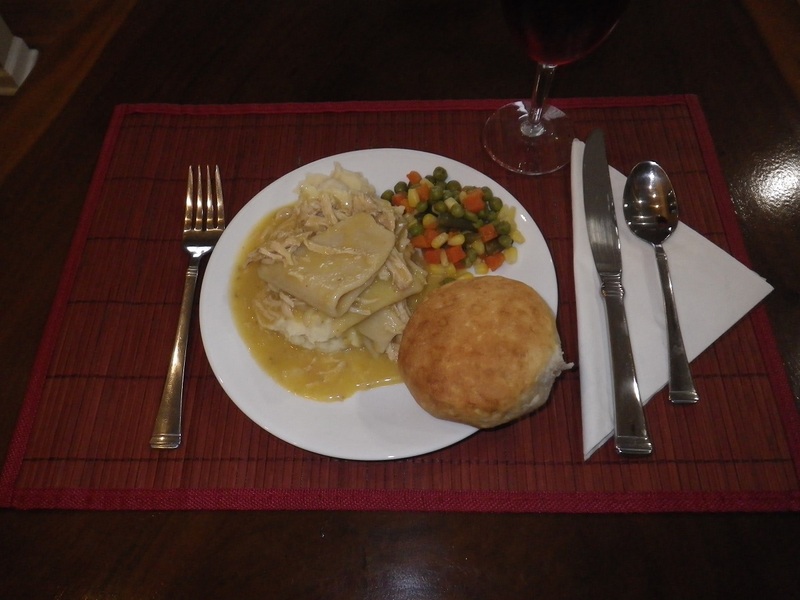 Cook until fork tender turning occasionally to cook evenly on all sides. While the chicken is cooking beat eggs with 1 tablespoon of water in a small bowl and set aside. 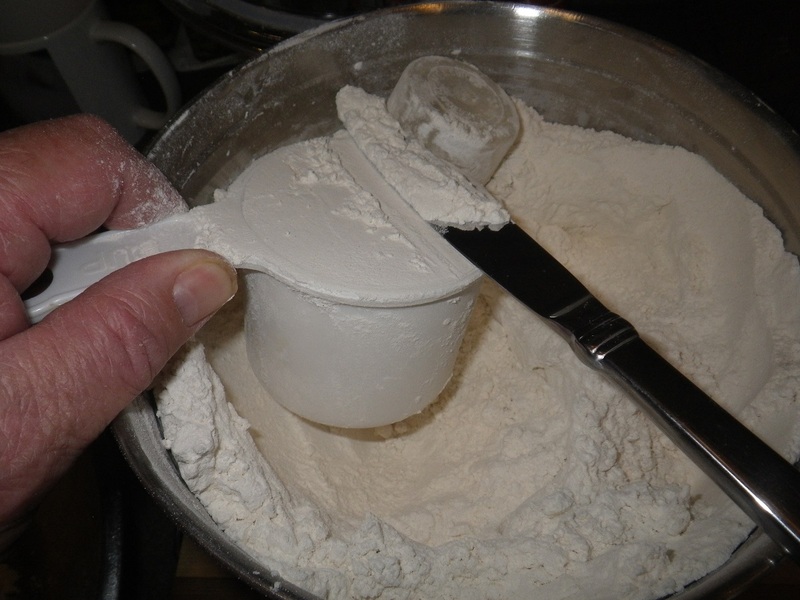 Place flour, baking soda and salt in a mixing bowl. Add nutmeg and onion powder if desired. 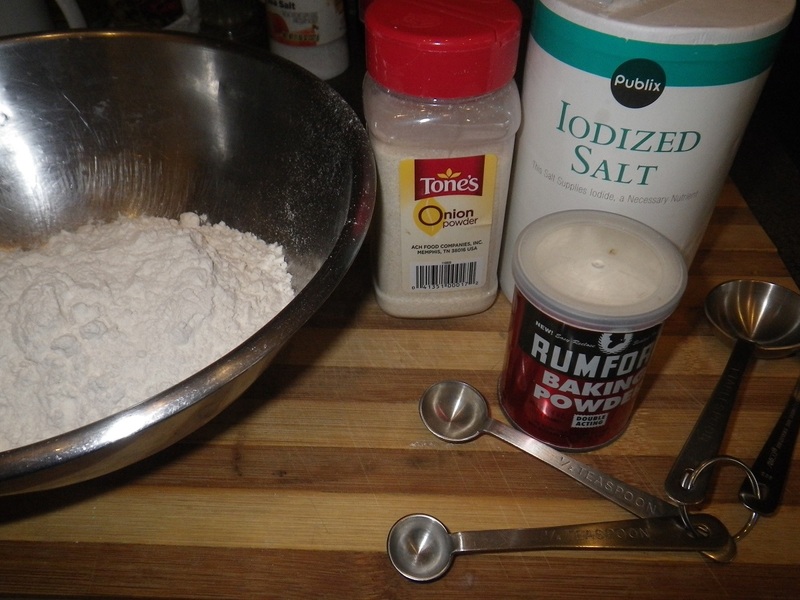 Mix to distribute the soda and salt evenly in the flour. A pastry tool works well for this. 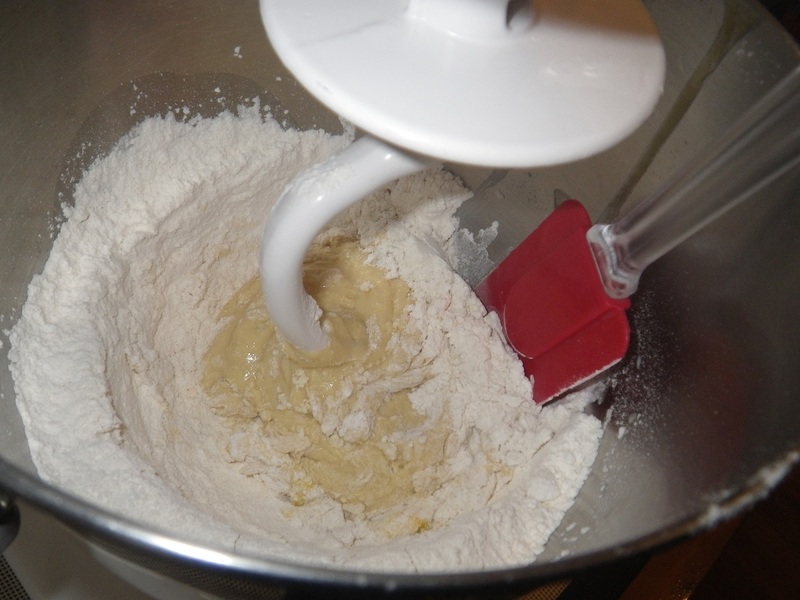 I use a stand mixer to make the dough. Mix by hand if need be. Work the dough as little as possible. Over working will result in tough gleasants. 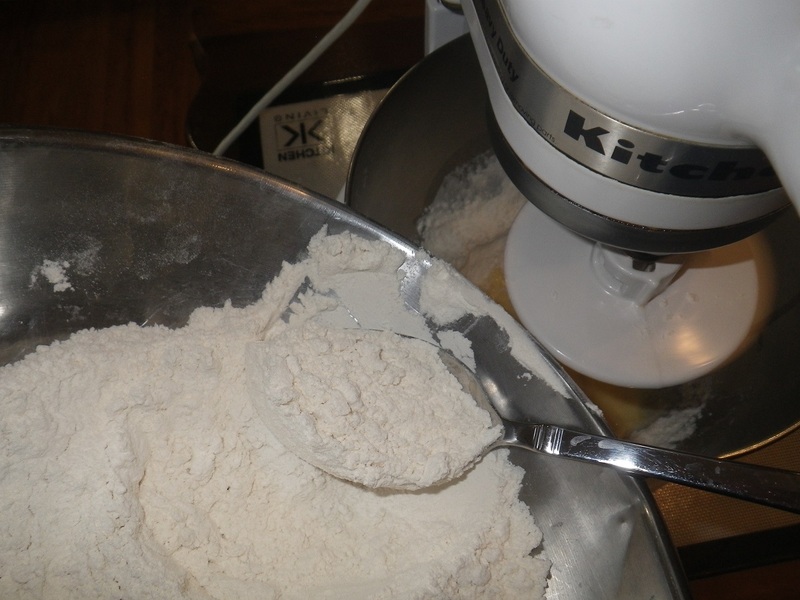 Mix dough just until you can work and roll it on a table surface; add a bit of water or flour as needed for the desired consistency. 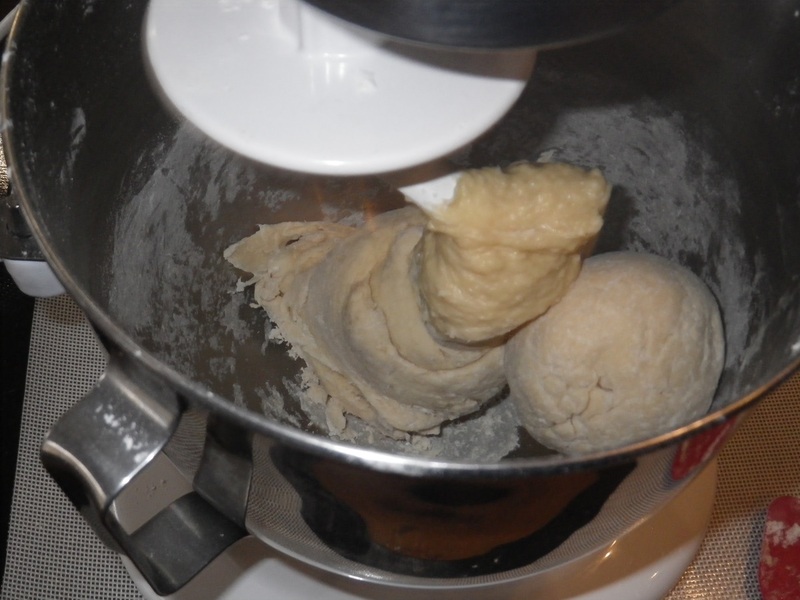 Divide dough into workable pieces; about 5 or 6 pieces. 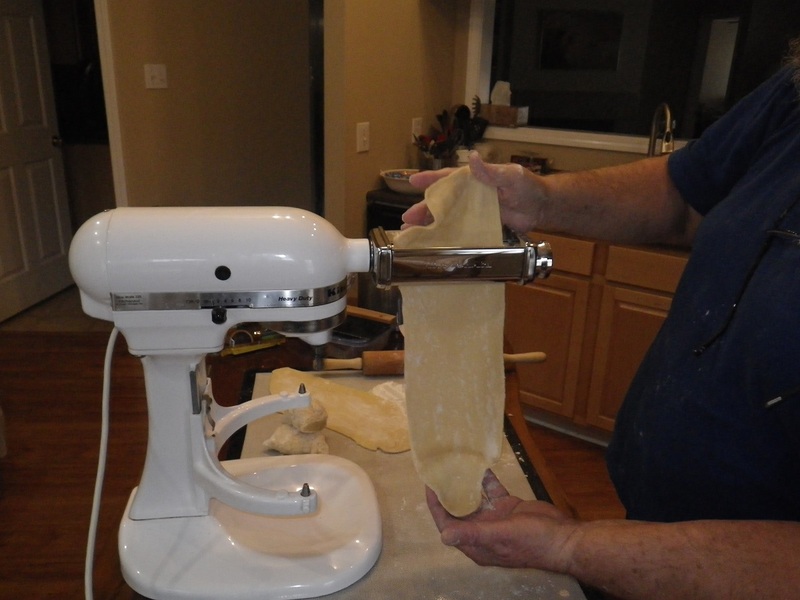 With a rolling pin or pasta roller roll a dough piece to 1/8-inch thickness. 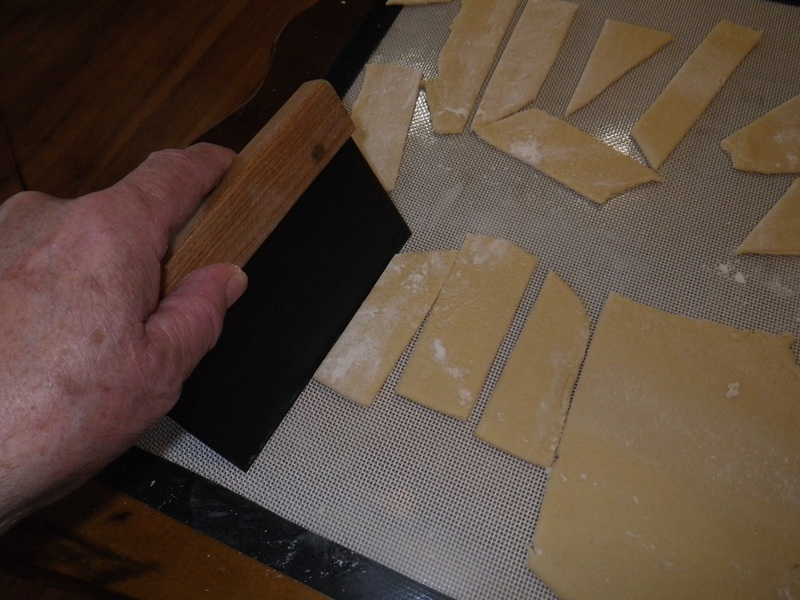 Cut the dough into about 1-inch by 3-inch pieces. Prepare a counter surface with waxed paper. Place the gleasants in a single layer on the waxed paper and cover with a slightly damp towel. Repeat with remaining dough pieces. When the chicken is fork tender remove to a plate to cool. 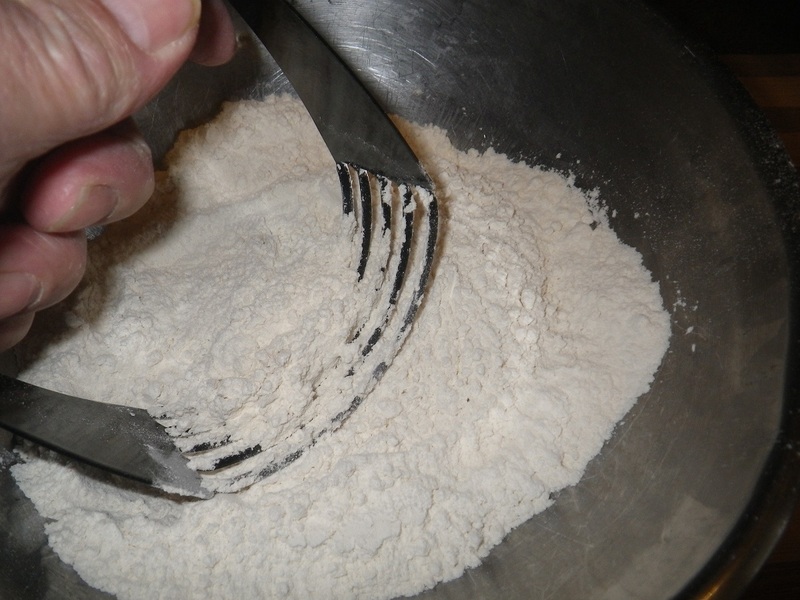 When cooled shred using forks or fingers into little bite sized pieces and set aside. Heat the cooking liquid to a slow boil. 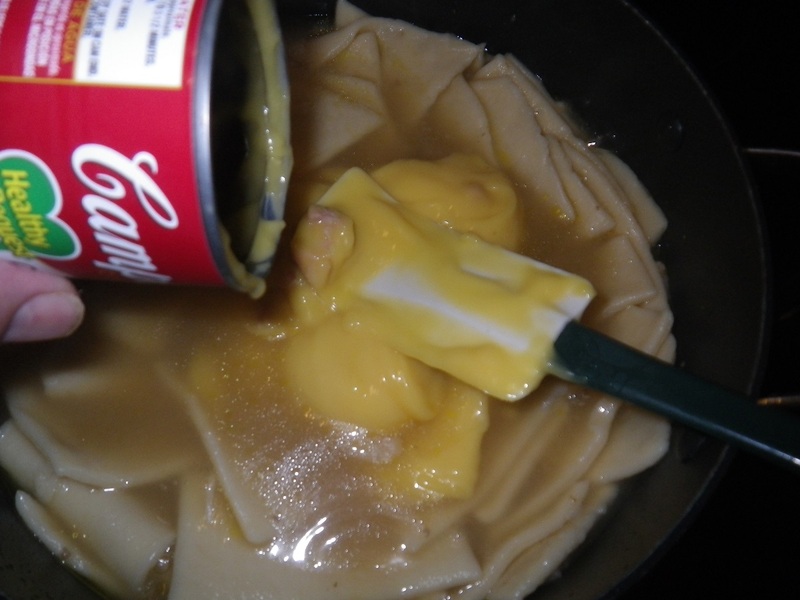 Add the dough pieces one at a time, allowing a second or two between to avoid sticking together. 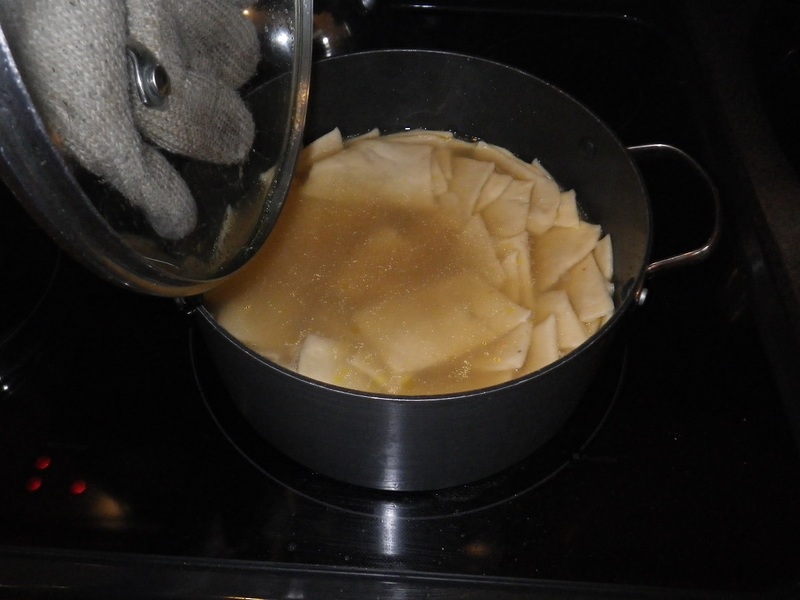 When all the pieces are in the cooking broth adjust the heat to maintain a slow simmer. Cook the gleasants until tender, about 20 minutes. 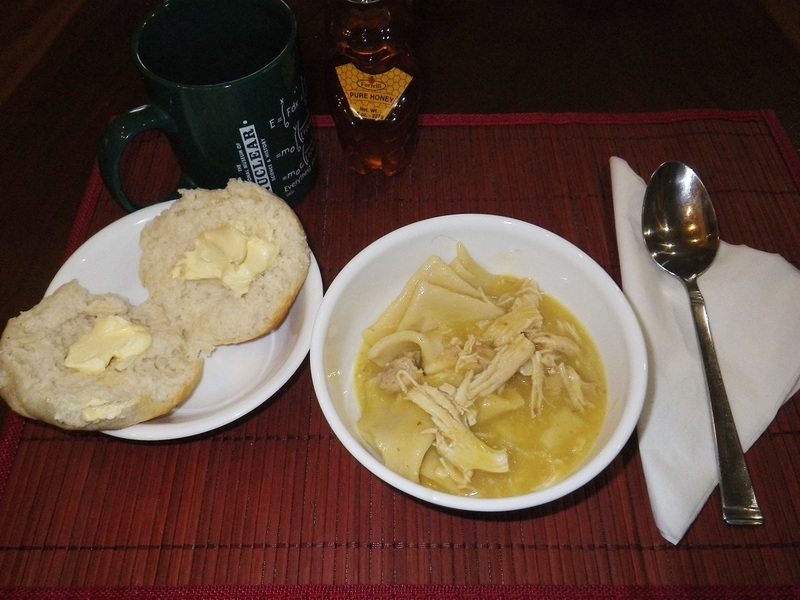 Add the condensed cream of chicken soup. This will serve to add more flavor and a thickening agent for the broth. 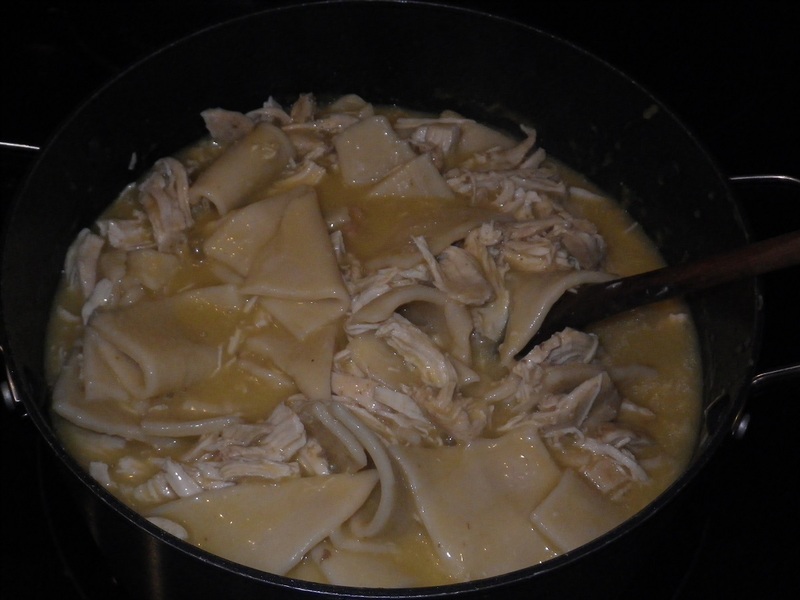 When the soup is thoroughly mixed with the gleasants and broth add the reserved chicken and heat through. The chicken and gleasants are ready to serve.